These comforting hot drinks are welcoming, soothing, and designed to give you a bit of relaxation after a long day. Curl up with a warm cup or serve it over ice for a refreshing treat. 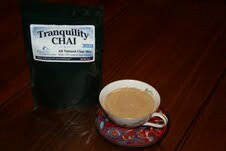 We craft our Tranquility Chai to make you feel good inside, so we don't use binders, fillers, emulsifiers, artificial ingredients or preservatives. Our comfort drinks are designed be made with hot water (Please do not use BOILING water!). 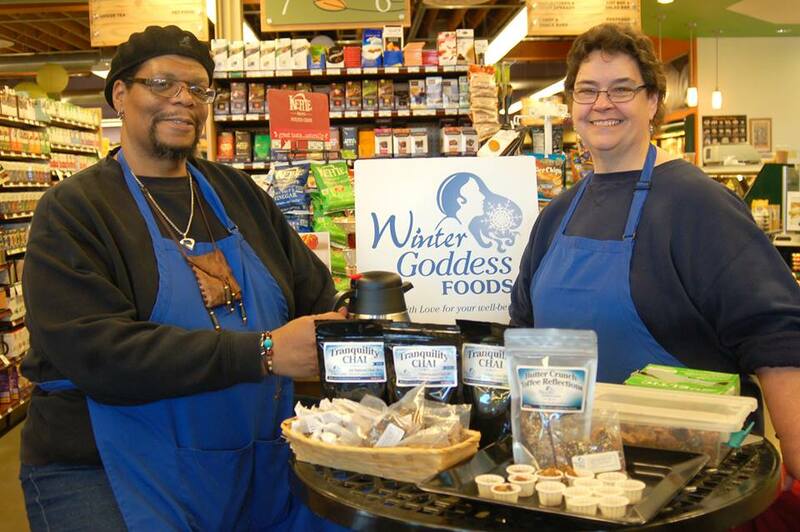 Come and taste the bounty of the Winter Goddess. Made with black tea, organic non-fat dried milk, organic cane sugar (but not too much), organic spices, sea salt, and organic vanilla. We recommend making this chai with hot, unsweetened almond milk for it's delicious creamy texture, but it also works well with soy, coconut, rice milk, or any other milk alternative. Made with black tea, organic cane sugar, organic spices, sea salt, and organic vanilla. We bought the vegan Chai a few months ago at the midtown market and just tried it this week. Finally we have something to drink on these extremely cold winter days when everyone else has their hot chocolate. Thank you for a quality product that makes us feel so special! When you get back we will order more! We had the pleasure of sampling this tea at the Midtown farmer's market. It is one of the best purchases I've made. 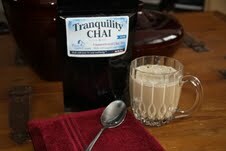 It is easy to enjoy the delicious taste without overdoing it on sweetener. 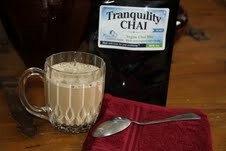 I bought the Tranquility Chai at the Rosemount High School Fall Craft Show and have been enjoying it with warm almond milk. It is smooth, tasty and comforting.